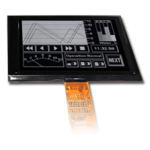 When your project or product is in need of increased capabilities and performance, look to the graphic LCD Displays from Phoenix Display International. 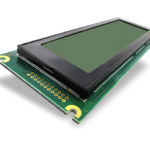 As a trusted name in the Custom Graphic LCD Display manufacturing industry, Phoenix Display’s graphic LCD modules are capable of providing increased flexibility and display content in an all-in-one package. 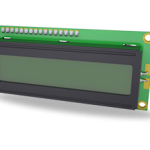 Our Graphic LCD Display modules allow you to customize each individual pixel to display both text and graphical images simultaneously. 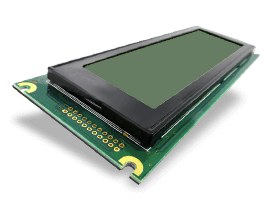 Let our in-house team of engineers assess your current graphic LCD solution and suggest one of our standard models, or we can design a Custom LCD Display module capable of displaying both text and images in a monochromatic format. Whether you choose a custom solution or one of our standard models, both are offered in multiple configurations and can be adjusted to fit whatever application necessary. View our selection of graphic LCD displays or contact Phoenix Display International for a custom LCD/TFT quote in less than 24 hours.